 A great practice in Stechford is looking for an RVN to join their existing team. Your role will require you to work 40 hours per week plus one in four weekends and no OOH. The ideal candidate will be a great team player, be enthusiastic and strive for the success of the practice. We have a job opportunity for a Registered Veterinary Nurse to join a practice in Solihull, West Midlands. You will work 40 hours a week, plus 1 in 4 weekends. Registered Veterinary Nurse job at excellent practice in Birmingham. You will benefit from a great work life balance, generous salary, funded CPD, plus benefits. We have a great new RVN role at a practice in Aldridge. Your new RVN role is full time with no on call, 1 in 4 Weekends as part of the nurse rota. We have a new and exciting role and an RVN to join a busy practice based in Coventry. Your new RVN job is 40 hours a week and 1:5 weekends, opportunity to earn extra income with OOH shifts. We have a great opportunity for an RVN to join a friendly practice in Rubery, Birmingham. Your new job is based on a 20 hour week, working Monday to Friday plus the occasional Saturday shift. A rapidly-expanding small-animal practice are looking for an experienced vet to join their team. The practice have a large purpose-built main premises with fantastic facilities in a super location plus 2 smaller branches. We are looking for an enthusiastic vet to join a friendly small animal practice based in Birmingham. You will join a fantastic team of 5 Vets, 6 nurses and numerous support staff. The working requirements for the role are 40 hours per week between 8 am – 7pm, 2:4 Saturdays and No OOH’s, there is a competitive salary and benefits package on offer. We have a job opportunity for a Vet Surgeon at our YourVets practice in Solihull, Birmingham. Your role will be 40 hours per week, 1:4 weekends, No OOH’s. A great opportunity has arisen for a Vet to join a friendly practice in Coventry. The ideal candidate will have previous experience in a similar role, ideally within a small animal practice environment. You will have a surgical bias in your work. You will have a strong track record in the delivery of exceptional client service with strong branch development skills. Great working rota, a competitive salary and benefits package is on offer for this role. We have a new and exciting opportunity for an Orthopaedic Veterinary Surgeon to join a busy vets in Coventry. You will enjoy a flexible rota that fits in with your lifestyle along with a competitive salary and other great benefits. We have a great opportunity for a Vet to join a busy practice in Coventry. You will be required to work a 22.5 hour rota. The ideal candidate will have previous experience and be a great working in a team, you will be supported by a fantastic team of vets and nurses who strive to give the best patient care. If you would like to know more information about this role or any roles that we have, please send your CV to Katherine@bvsvets.co.uk. We have a new and exciting opportunity for an experienced Clinical Director to join busy Veterinary Hospital in Coventry. The ideal candidate will have excellent communication skills and will be able to manage a big team. You will work in a busy Tier 3 Small Animal Hospital with a varied and interesting caseload. You will have access to a range of modern equipment and facilities and you will lead a team of 10 veterinary surgeons, more than 15 nurses and additional support staff and receptionists. Great salary is on offer including other benefits. We have a great opportunity for a Small Animal Vet join a well established practice in Gornal and Balby. You will join a team a friendly team of vets and nurses. The right candidate will have great communication skills. A great opportunity has arisen for a dedicated Veterinary Nurse to join a friendly practice in Gornal. The practices ethos is to treat all of their patients with respect, understanding and compassion and do this with a friendly and approachable, yet highly professional, outlook from all of their staff. This is a full time position with a competitive salary. We have a great opportunity for an enthusiastic vet to join a friendly small animal practice based in Birmingham. We have a great opportunity for a Veterinary Surgeon at a practice in Birmingham. Good work/life balance with no sole charge. We have a great opportunity for a Vet Surgeon to join a practice in Solihull, Birmingham. Your role will be 40 hours per week, 1:4 weekends, No OOH’s. We have a great opportunity for an enthusiastic veterinary surgeon to join a friendly practice in the Coventry area. We have a great opportunity for an Orthopaedic Veterinary Surgeon at a practice in Coventry. You will enjoy a flexible rota that fits in with your lifestyle. We have a great opportunity for a RVN based in the Birmingham. The role is 40 hours per week plus one in four weekends and no OOH. 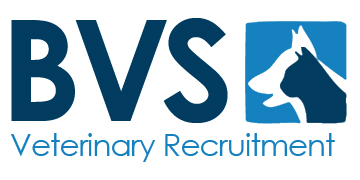 We have a great opportunity for an RVN based in the West Midlands. You will work 40 hours a week, plus 1 in 4 weekends. We have a great opportunity for a RVN based in the West Midlands. The job is full time with no on call, 1 in 4 Weekends as part of the nurse rota. We have a great opportunity for an RVN to work at a vets based in Coventry. The job is 40 hours a week role with 1:5 weekends. There is also the opportunity to earn extra income with OOH shifts. I am looking for a Friendly RVN for an award winning 4 practice / 1 Hospital surgery in Dudley. This practice was Voted Best UK Vet and Practice of The Year.You will be working with Leading technology equipment This is a fantastic opportunity to become part of an amazing family. We are looking for a motivated, enthusiastic, RVN to join our friendly team. The role would involve a 40 hour week with no OOH and a shared weekend rota of 1:4 (Sat 8-4.30 and Sun 9.30-12.30)We encourage all staff to further develop themselves through CPD.